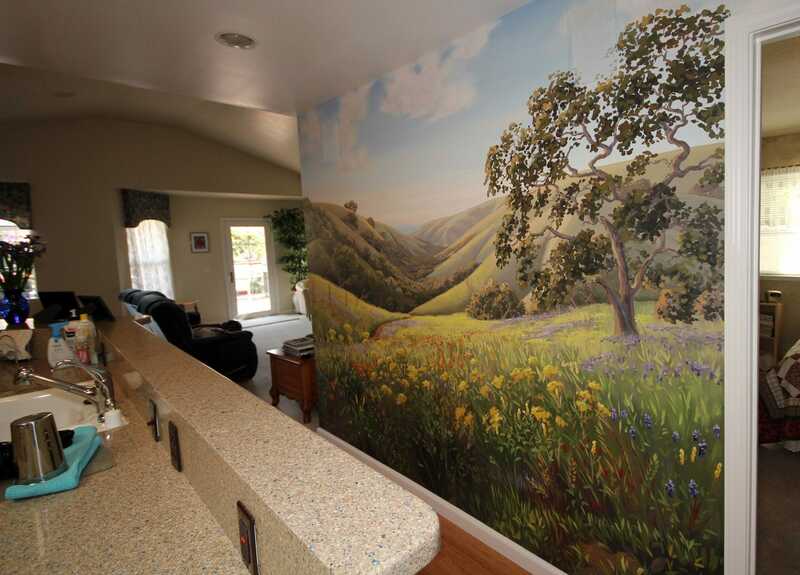 I painted this mural for a client who cherished the memories of family trips taken to Cambria for hiking. 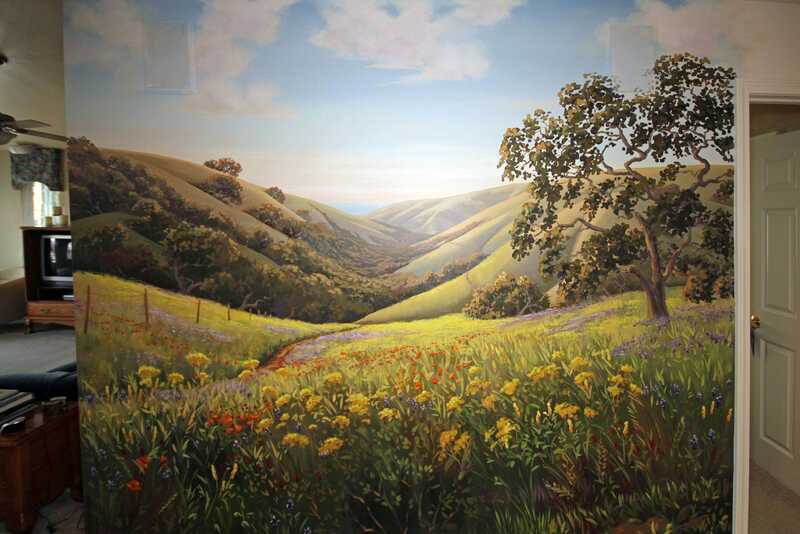 She showed me photos of her family hiking amid the abundant wildflowers. Her kitchen sink has looked on to a big blank wall for 10 years. Now this landscape is what she can reflect on while she washes the dishes. Click here to see an interview with the client.